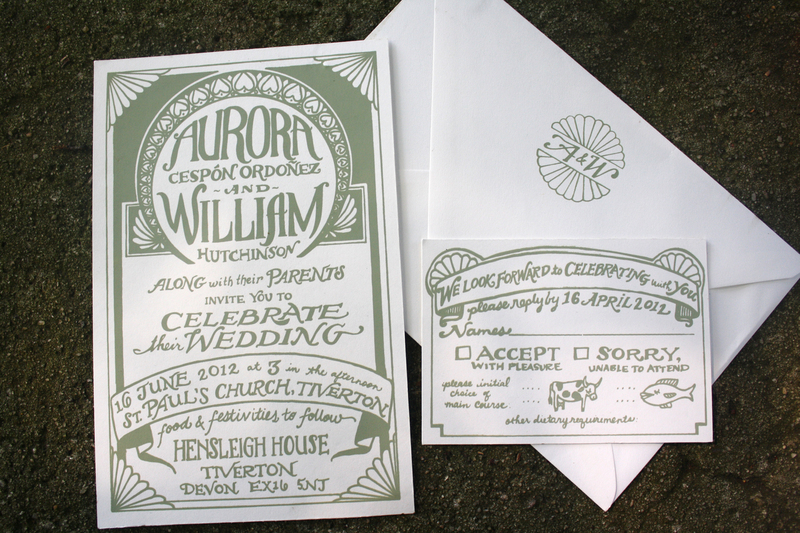 Aurora was my first bride from abroad! She was so easy to work with, even though we live on different continents. 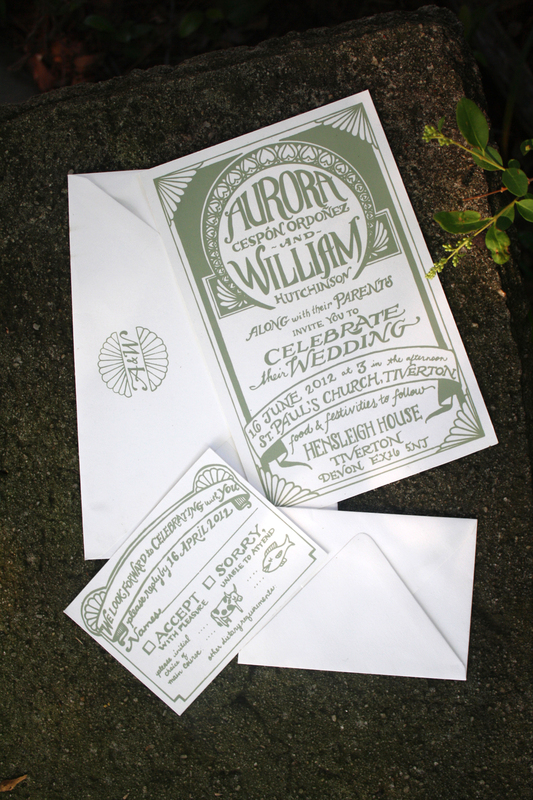 She gave me such lovely details about her wedding vision that I was able to design these sage green, art-deco informed wedding invitations that we both love. I’m just starting to recover from the INSANITY last week. Not only was it Master’s Golf Tournament week here in Augusta, it marked the beginning of a lot of changes for our little family of two. More details to come on that front. I didn’t have the energy to think or move after baking at the restaurant 11pm-8am every night…but it was pretty fulfilling to stock the dessert case every day and come back that night to find it empty. We even had a famous golfer come eat at the restaurant. I think it was Greg Norman (the “Shark”)(?). He signed a bunch of menus for people. When they told me about it, I was like, “…Who? Is he famous?” For living in a golf crazed town, I know nothing about golf. I would like to keep it that way, too. I knew it was time for a day off when, on my 6th night in a row working that craziness, I looked down and realized I was wearing two different shoes. 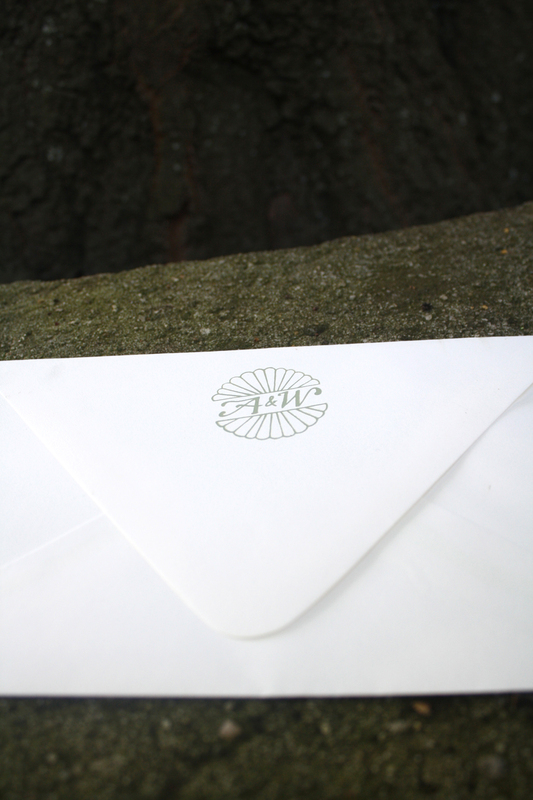 I designed a monogram that I printed on the backs of all the envelopes, and I really like how it pulls the whole invitation suite together. Probably the most time consuming part of the whole process was mixing the ink color exactly right. The ink always looks a lot lighter in the jar than it comes out on the paper, especially after it dries. So I’d mix ink, print the image, rinse out the screen, wait for the ink to dry, compare it to the photoshop file I sent Aurora, sigh in frustration, mix more ink, make sure the screen was dry and print again. Usually I don’t have an exact color I’m trying to match, I just fiddle with the color until I think it looks good. I tried using interior house paint for awhile for this reason, because I could just pick out a precise color from a sample paper and have the hardware store mix it, but the paint always ended up drying (permanently) in my screen. I’ve heard of mixing floetrol or other substances with the ouse paint to keep it from drying in the screen, but I haven’t been able to find it locally. If any readers out there have experience with this, I’d love some advice. Anyway, it was worth it, I’m happy with the results! 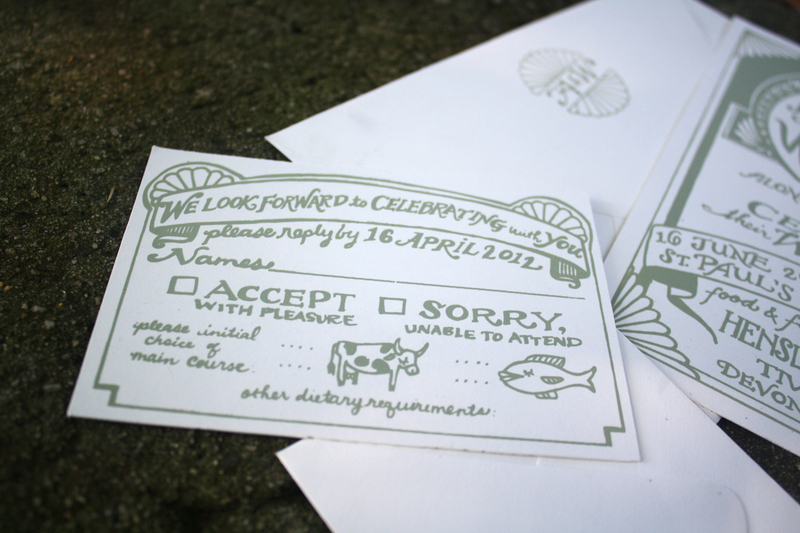 The RSVP card featured a little illustration of a serene cow and a peaceful fish. 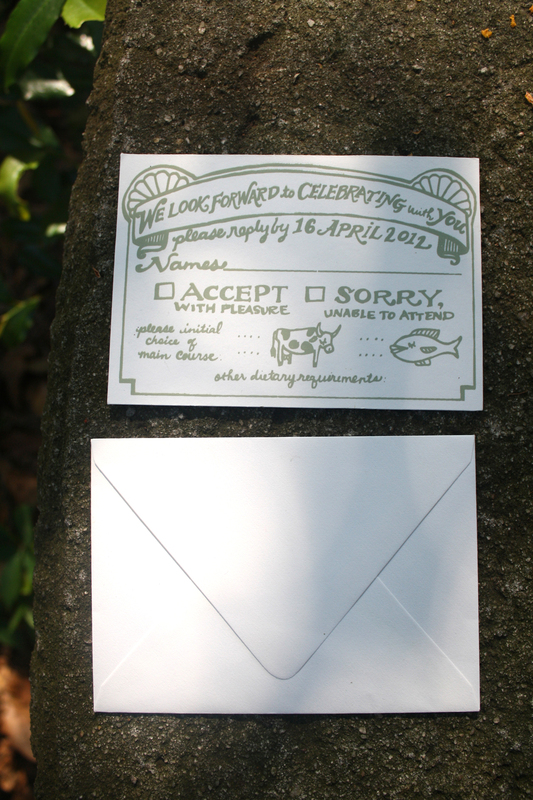 I guess they don’t realize they’re going to be eaten by ravenous wedding guests. 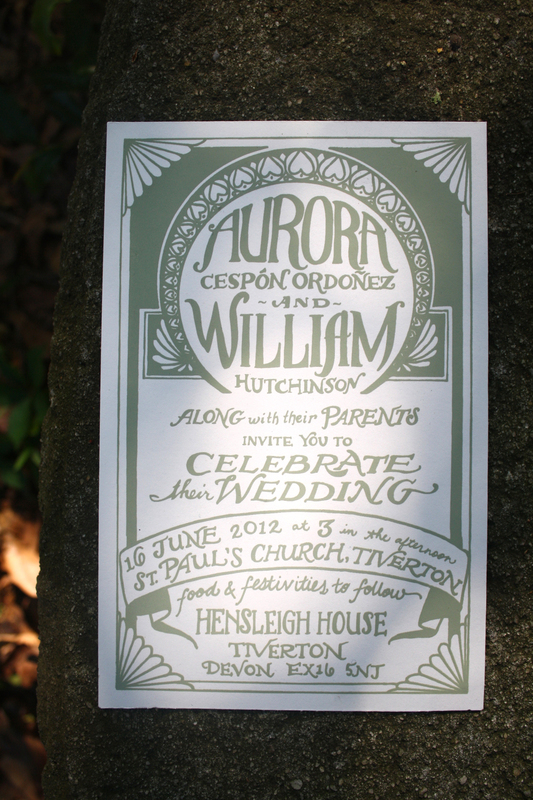 I always have fun when hand-lettering takes center stage. 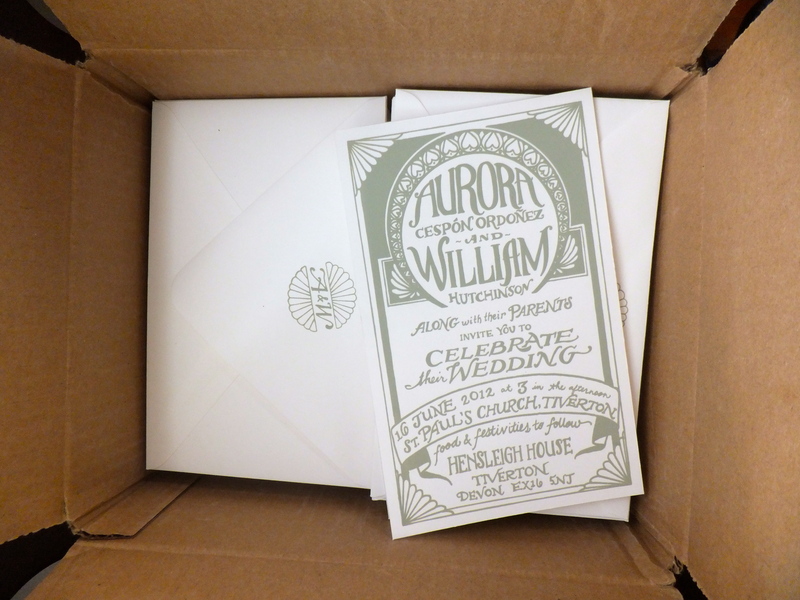 Thanks Aurora, for letting me be a part of your wedding celebration! People in Canada purchase more medicaments per human than any other area. The variety of remedies marketed by online drugstores is distinctively a contributing factor to prescription medicine abuse epidemic. What medications exist? Without fail, you should check with your dispenser to see whether one of these medicaments is a confer choice for you. Topics such as viagra or cialis are very popular for last year. Are you thinking how to get medications, like Viagra, from the Web? Currently many users quest for the exact keyword cialis or viagra on Google. The most significant thing you must look for is viagra cialis. Anyone with sexual disorders need vocational help. Some treatments will include couples therapy. Get in touch with your soundness and stay healthy for long years.